Sam Mandragona, creative director for NBC Universal, will leave the network at the end of 2008. Mandragona has spent the last two decades with NBC working on numerous projects, including designing the graphics for MSNBC’s launch, Decision 2008 and the network’s flagship programs “NBC Nightly News” and “Today” and garnering numerous awards, including multiple Emmys and BDA honors. 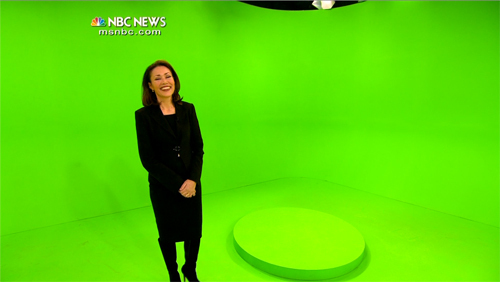 Mandragona will leave an indelible mark on broadcast news graphic design. NBC’s production values have always been stunning and there’s no doubt he played a big role in shaping the standards not only at NBC but throughout TV news. Fortunately, however, Mandragona isn’t leaving the design business and is actively looking for a new position. We wish him the best of luck and can’t wait to see where end winds up and what work he’ll do there. As Mandragona begins winding down his 20-year tenure at NBC, he took the time to conduct an e-mail interview with NewscastStudio about his team’s latest accomplishment: the Decision 2008 graphics used on both MSNBC and NBC. In the first part of this three part series, Mandragona discusses the technical details and planning that went into the Decision 2008 package. NewscastStudio: What software do you use to create graphics at NBC ArtWorks? Sam Mandragona : Four years ago we phased out all of our proprietary and legacy equipment, such as Quantel paintboxes, and introduced desktop workstations. This was a paradigm shift and required new training for the artists but we felt it was a necessary decision to focus the department for the future. The department is predominantly Mac based, with Photoshop, Illustrator and After Effects being the core compliment of software. For high-end 3D animations we are currently supporting Maya, 3D Studio Max and Cinema 4D on render farms. NS: From a technical standpoint, how did you integrate the 3D environment with the data feeds? SM: Each of the displays has objects assigned to specific data. ArtWorks built the actual graphics and animations with Brainstorm America. The VR sets were first built in 3D StudioMax and exported into Brainstorm. The graphics themselves were then built within the Brainstorm system itself. A separate vendor, Miranda, then worked with Brainstorm America to set the codes that would retrieve the election data from the data provider. The 2 vendors would then populate the graphic displays with the data and trigger the animations. All of the scenes were then tested for performance and speed to ensure there was no compromise between data retrieval and data displays. Once this was completed we would then test the scenes through the VR set cameras. This was to ensure that everything displayed appropriately from different camera views as we tracked across the set with the talent. NS: Describe the computer systems required to import, process and render election data into graphics. SM: The VR sets were on a PC running the Brainstorm software through a Nvidia video card. There was an encoding system that tells the system the positioning of the camera and an ultimate which marries the video of the camera with the graphics. This was our first use of desktop platforms to support real-time graphics. This was also the first time we did an election in full HD. Our previous systems required significant investment in hardware and support and were not HD capable. NS: What plans were in place in the event the 3D environments failed? SM: All of our election systems had backups that would switch over in the event of a failure of a primary system. All of the graphic displays for the VR set also had full screen versions to display the same information. This was necessary since the VR set with Chuck Todd might be on the air with MSNBC while the Network with Brian Williams wanted to review different polling data. Throughout the night, Chuck Todd would flip back and forth from MSNBC to the Network. We had the same issues with Ann Curry and the polling set. The complete graphics package had many different designs to display the same data which gave the producers and director tremendous flexibility in how to present the coverage. Overall we designed 60 different graphic displays for the coverage. This was our most complicated and extensive election design ever produced at NBC. NS: What kind of team was behind this project? SM: The success of any project relies on all who contribute. I was fortunate to have the members of this team on this project. Credit also has to go to the team from Brainstorm America and Miranda. The title designs and supporting graphics were produced in house by a different team but all members of the NBC Artworks design group working with me and the senior art directors. Coming Dec. 29: A look at the creative process behind developing the Decision 2008 package. 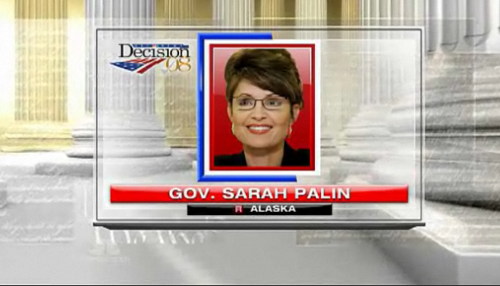 Coming Dec. 31: A look at some Decision 2008 graphics that didn’t make it on air.